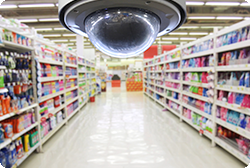 A well-lit store is a major deterrence for criminals. Keep your employees safe by training them how to help deter robberies and shoplifting at your store. This online training module trains employees to be proactive about preventing robbery and shoplifting and prepares them for what to do if they occur. Employees learn proper store maintenance and customer service that discourages criminals.